Depuis la révolution du 17 décembre 2010 – 14 janvier 2011 et la chute de l’ancien président de la Tunisie Ben Ali, la Tunisie doit faire face au défi que représente la transition démocratique et l’édification d’un Etat de droit respectueux des droits humains. Ce rapport essaiera de dresser un état des lieux des garanties existantes en matière de prévention de la torture, aussi bien sous l’ancien régime qu’après la révolution. Le commentaire se base sur des délibérations pendant une table ronde qui a été tenue à Tunis en novembre 2016, organisée par REDRESS en collaboration avec DIGNITY et le Ministère tunisien de la relation avec les instances constitutionnelles et la société civile des droits de l’Homme. 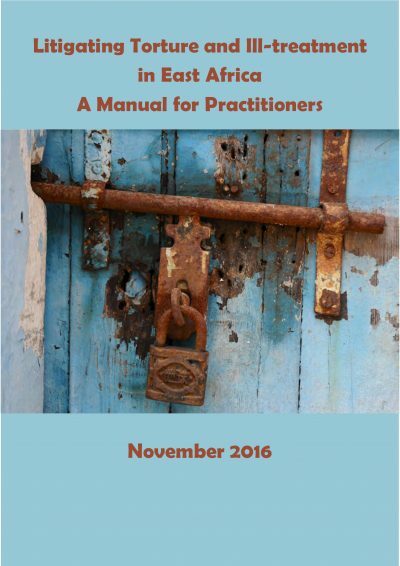 This report, ‘Assessment of reforms and future prospects for the eradication of torture in Tunisia’, summarises the roundtable deliberations held at Tunis in November 2016 concerning practical steps towards the eradication of torture in Tunisia. Relying on interviews with national experts working on the prevention of torture, this document contains a review of the existing legal frameworks and domestic mechanisms that enshrine the prohibition of torture. Authored in collaboration with Barbara Maigari (JI Fellow) Partners West Africa-Nigeria and Legal Resources Consortium, this Commentary considers the challenges and opportunities present in the adoption of a comprehensive anti-torture bill in Nigeria, and offers concrete recommendations for its introduction to relevant stakeholders. Relying on interviews with national experts, a comprehensive literature review, and several consultative meetings, this report briefly outlines the practice of torture and ill-treatment in the Nigeria, and identifies shortcomings in the existing legal framework that need to be addressed in accordance with the country’s international obligations. This report summarises the proceedings of the stakeholder roundtable organised by the Human Rights Center at the University of California, the International Center for Transitional Justice (ICTJ) and REDRESS, to assess how to best incorporate techniques of victim participation at the ICC and other comparative jurisdictions into the workings of Uganda's International Crimes Division (ICD). The ICD is the first domestic judicial body in Uganda to try international crimes, in particular war crimes, crimes against humanity, and genocide. Participants were made up of relevant actors of the ICD, experts on the implementation of victims’ rights at the ICC, and those working on the domestic implementation of victims’ rights in the United States and Kenya. In a statement during an event to commemorate the 25th anniversary of the UN Working Group on Arbitrary Detention (WGAD) on 28 November 2016, REDRESS Director Carla Ferstman reiterated the crucial role of the WGAD several REDRESS' cases involving arbitrary detention, including the cases of Zeinab Jalalian, Andargachew "Andy" Tsege and Nazanin Zaghari-Ratcliffe. With the International Criminal Court (ICC) conducting its first reparations proceedings in four separate cases, the Victims' Rights Working Group's participation in the 15th session of the Assembly of States Parties (ASP) focused on how to best give full effect to the rights of victims as enshrined in the Rome Statute, in particular, their right to participation, representation and reparation. This paper by the Victims' Rights Working Group (VRWG), a network of national and international experts that advocates for victims' rights before the ICC, informally facilitated by REDRESS, provides recommendations to States Parties on how to improve the ability of victims to fully exercise their rights. Ce rapport étudie la pratique suivie par la CPI jusqu’à présent et analyse les principaux défis relatifs à la construction d’un système de réparation qui respecte les droits des victimes tout en tenant compte des ressources limitées et autres contraintes rencontrées par la Cour. Nous encourageons celle-ci à se demander comment rendre les procédures plus efficaces et prévisibles et formulons des recommandations à cet effet. Nous adressons nos remerciements au Open Society Foundations human rights program pour avoir supporté les recherches nécessaires à ce rapport. This manual seeks to assist those working to fight torture and to support victims through litigation in six countries in East Africa: Burundi, Kenya, Rwanda, South Sudan, Uganda and Tanzania. This region boasts a vibrant and active civil society that has advocated for the introduction of specific anti-torture legislation to create opportunities for litigation at domestic, regional, and international levels. Meanwhile, national lawyers have continued to use existing avenues to litigate against torture to secure accountability and justice for victims. This manual seeks to build on those efforts to offer a practical guide to the continuing development of a range of avenues for victims of torture and ill-treatment to obtain redress.